This guide will show you how to launch Videosteram for Google cast app easily. You can even create a shortcut of Chrome apps on desktop. There are at least 3 different methods to launch Videostream for Google cast from your PC. We will cover all of them one by one. After Google removed Chrome App launcher for PC (Windows, PC, and Linux) earlier this year, you cannot install the old Chrome app launcher on your PC any more. This guide, therefore will not consider using Chrome app launcher. You can find all Chrome apps installed in a Chrome apps page. You will then get your Chrome apps page showing all Chrome apps installed as shown below. To launch Videostream, you can simply click the icon as shown below (marked as 1 in read). If you have more than 18 Chrome apps, you can use the arrow button (marked as 2 as shown above) to navigate to other pages. You can also use the page indicator (marked as 3 as shown above) to switch to other pages. In bottom right of Chrome apps page, there is a link to Chrome web store (marked as 4 as shown above). You may rearrange the icons by click and hold the icon, then drag it to new location. An even simpler way to launch Videostream for Google cast is using a shortcut in the desktop. You can click the icon in the desktop to launch Videostream immdietely without manually starting Chrome browser. 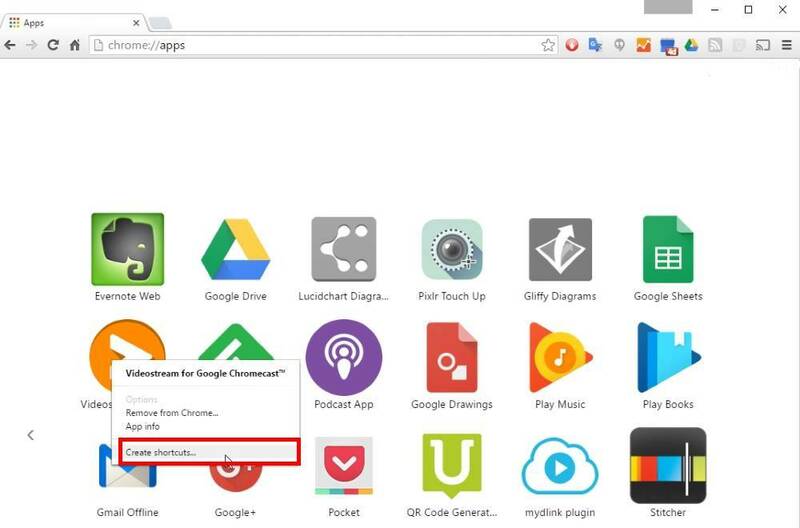 To use this method to launch Chrome app, you must create the shortcut for Videostream on the desktop. In chrome://apps page, you can right click (click the right mouse button, instead of left button) Videostream icon to get the context menu. In the context menu, click Create shortcuts as shown below. 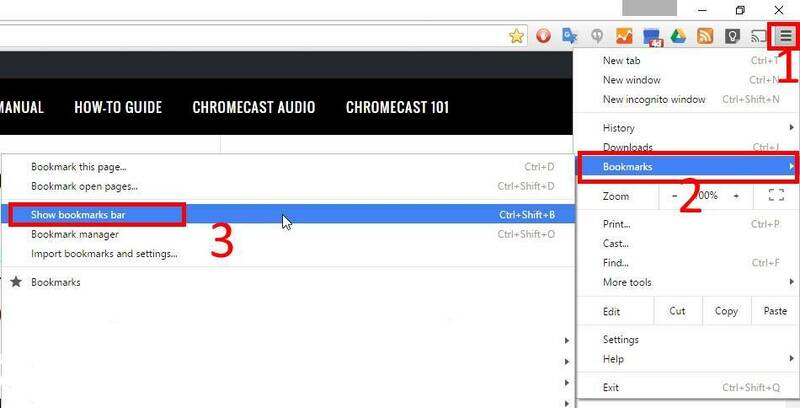 Now, in the desktop, you can find the shortcut for Videostream for Google cast as shown below. You can simply click the icon in the desktop to launch Videostream for Google cast immediately. 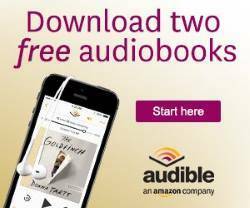 It is not necessary for you to start Chrome browser, or to go to Chrome apps page. So, this is the fastest way (and the easiest) to launch Videostream for Google cast. If you use Videostream frequently, or you want to set Chromecast for your grandma, it is recommended to create desktop shortcut to launch Videostream. Instead of typing chrome://apps in the address bar, you can access Chrome apps page from bookmarks bar. In Chrome browser, click the hamburger menu button (marked as 1 as shown below), click Bookmarks (marked as 2), and then click Show bookmarks bar (marked as 3). This will add bookmarks bar in your Chrome browser as shown below. In the bookmarks bar, you can find Apps icon in front of all bookmarks are shown below. Click the Apps button to launch Chrome://apps page. You can then launch Videostream from Chrome apps page. A more efficient way to use bookmarks bar to launch Videostream is to bookmark the Videostream page. Once Videostream is launched, you can click the star icon (marked as 1) as shown below to bookmark Videostream for Google cast. You can choose the location and folder for this bookmark item. By default, it will be added to the bookmarks bar directly. In the bookmarks bar, you now can find the Videostream entry as shown below. You can click the icon to launch Videostream for Google cast directly from bookmarks bar now. As mentioned earlier, Google discontinued Chrome app launcher for PC (Windows, Linux and Mac). The original Chrome app launcher is now exclusive for Chromebooks. But if you were a user of Chrome app launcher, you may notice you can still use Chrome app launcher. 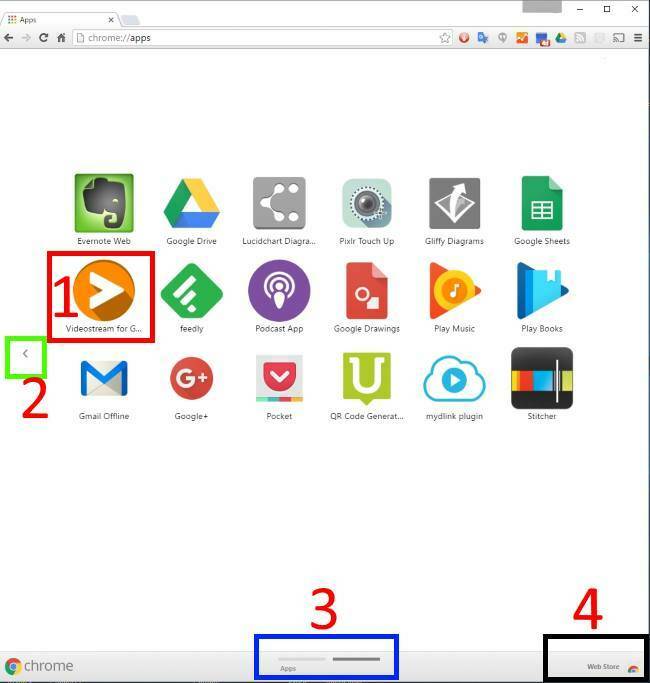 What changed is that the Chrome app launcher is now just a shortcut for chrome://apps as shown below. There is no dedicated window for the launcher. Anyway, you cannot launch Videosteram for Google cast directly from Chrome app launcher. Can you launch Videostream for Google cast and other Chrome apps easily now? If you have any comments or questions on using any of the 3 methods to launch Videostream for Google cast or other Chrome apps, please let us know in the comment box below. The community will try to help you find the answer, and benefit from your thoughts. For Chromecast Audio guides, please visit Chromecast Audio guide page. If your question is on Chromecast including both 1st generation Chromecast, and new Chromecast (aka Chromecast 2015), please visit Chromecast how-to guides page.